WASHINGTON (AP) — The Supreme Court heard arguments Wednesday in the case of a Pennsylvania woman fighting her town over a cemetery ordinance, with the justices seeming at least sympathetic to the fact that people with claims like hers are effectively barred from federal court. The Supreme Court heard arguments in the case of Rose Mary Knick, who sued Lackawanna County’s Scott Township after the town passed a cemetery ordinance in 2012. The ordinance requires anyone with a cemetery on their land to open it to the public during daylight hours. The town says it applies to Knick, but Knick has disputed whether her 90-acre farm even contains a cemetery. And she says that if the town wants to take her property and open it to the public they should have to pay her for it. 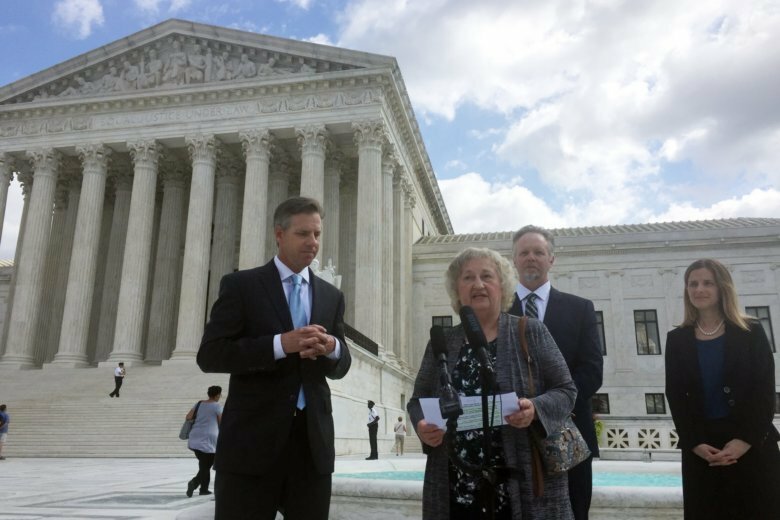 Knick wants to sue in federal court, not state court, and she’s asking the Supreme Court to partially overturn a 1985 case that has effectively kept her case out of federal court. Conservative legal groups and others have told the court the decision is problematic. “Williamson has at least the advantage of clarifying where people go and how these claims are adjudicated,” Justice Sonia Sotomayor told attorney J. David Breemer, who was arguing on behalf of Knick. “Why not let sleeping dogs lie?” Justice Stephen Breyer asked at one point. The court is currently without a ninth justice following the retirement of Justice Anthony Kennedy. A decision in the case is expected by the end of June.